I have never written a review that was so highly personal and painful. 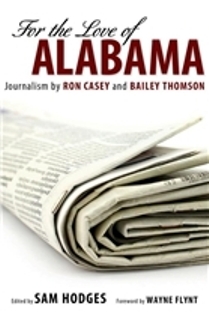 Ron Casey and Bailey Thomson were friends and colleagues at The Birmingham News and The Tuscaloosa News, respectively. They were bright, dedicated men who died far too soon—Casey at fifty-four and Thomson at forty-eight. There is pain in that loss per se and also pain in what has not changed since their untimely deaths. Many of the problems they explored so eloquently still linger in our state. For the Love of Alabama is a collection of editorials, columns, essays, and reporting that should be required reading in a number of disciplines—history, civics, government, social work. The writing touches on poverty, racism, and government malfeasance. 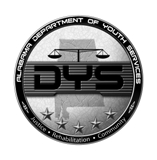 But it also champions many wonderful Alabamians who have dedicated their lives to improving the lot of us all. Casey and Thomson could recount history, denote evils, and project a hopeful future with great ability. 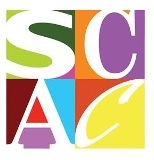 Included is Casey’s work on the Pulitzer Prizing-winning series “What They Won’t Tell You About Your Taxes.” Thomson’s “Dixie’s Broken Heart” series won the Distinguished Writing Award from the American Society of Newspaper Editors. There is wonderful prose in these pages, drawn together by Sam Hodges, another former Alabama journalist who should be appreciated for his delightful novel, B-Four, as well as for his reporting. Included is a foreword by Wayne Flynt, who has often pointed to the same foibles explored by Casey and Thomson. Like Flynt’s work, this book is a magnificent, penetrating, probing look at our state, but it is also painful. So very little seems to have has changed. Yet, both Casey and Thomson, even when writing about despairing topics, could give their readers encouragement and hope that things can be made better. Each problem was accompanied always by a plausible solution. I wonder if their optimism would hold up in the face of some recent issues. Would they find a ray of hope for our state somewhere in the midst of the Bingo trials, the Jefferson County bankruptcy, the Birmingham School Board, the ongoing resistance of the entrenched to a new constitution, the seemingly endless stream of public officials going off to prison, and an immigration law fraught with the racism of the 1960s?